the eames lounge chair and ottoman was released in 1956 by designers charles and ray eames, and since then spawned generations of other products made of molded plywood and leather. 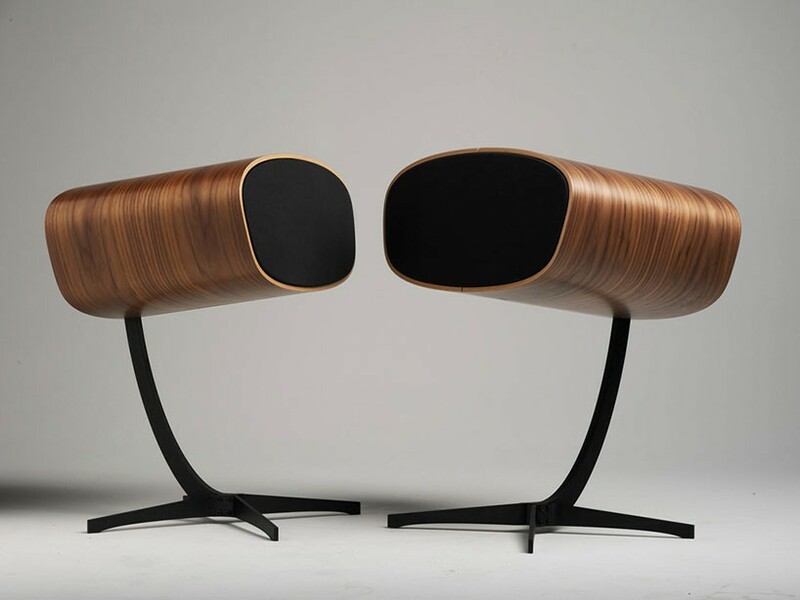 influenced by the iconic modern style, danish company davone created the ‘ray-s’ speakers that embrace old world craftsmanship with the most advanced audio technology on the market. it features a three way speaker system with an eight inch bass, that produces detail and depth in every note. davone eliminated parallel surfaces to help reduce internal cancellations of sound. the curvature of real wood is much stiffer than the fiber board construction of other speakers and includes a leather baffle to provide a unique look and even diffraction. the eight inch hand built paper woofer with symmetrical motors, stay stiff through the entire stroke and the off center mounting of the tweeter and midrange drivers give a more stable in-room feedback than traditional tower speakers. 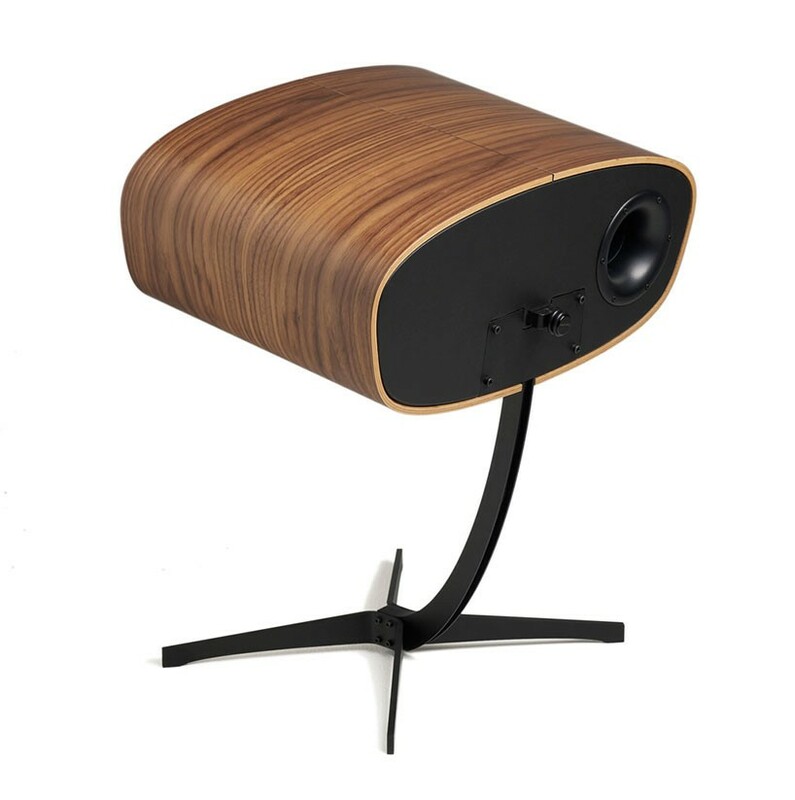 the one inch thick water cut solid steel stand provides elegant support of the speaker. 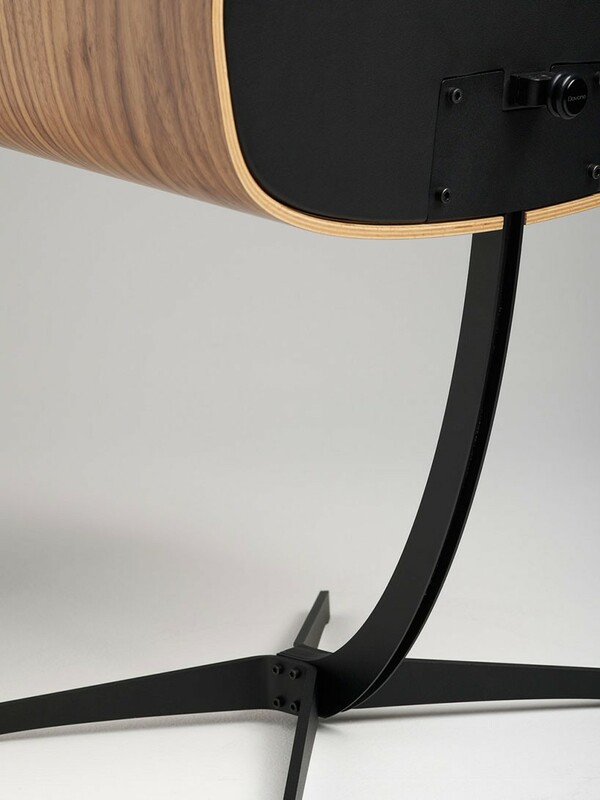 through selective design decisions, davone created a stand that minimizes energy loss from the speaker to the floor. the single knobs at the back of the speaker tighten to guarantee a solid connection with the rest of the sound system. the high quality materials allow for an uncompromising interface that even charles and ray eames would be proud of.